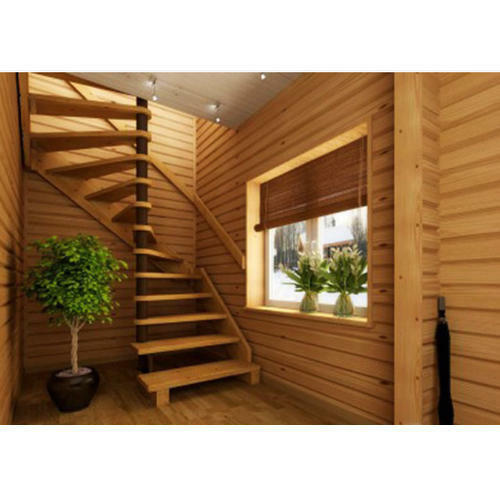 We have come up with a world class assortment of Wooden Designer Staircase. We offer them at reasonable rates. Incepted in the year of 1995, Well-Tech Enterprises has been a highly capable and sound name of the nation engrossed in the manufacturer and service provider of Aluminium Window, Aluminium Sliding Door, Wooden Table, MS Gates, Wooden Staircase, Wall Rack, Rolling Shutter, Balcony Grills and much more. Moreover, we are offering with these products once we carry individual tests over the performance life of these products. Beside this, we have been known to deliver these products in adherence to the standards and policies of our business for which we have been highly revered.